FULL MOON in Gemini on December 6th 2014! This Lunation brings with it an energy of expansion and is a sweet moment of reprieve from the unexpected shifts and changes Life has been serving. We are amidst some strong planetary alignments that are heralding a need for profound change and revolution within and without. Our attitude is of foremost importance during this time and can empower us and see us through whatever we are facing. Gratitude for what we have and a willingness to move with the energy that is calling is required. “Know the river has its destination. The elders say we must let go of the shore, push off into the middle of the river, keep our eyes open, and our heads above water. “The Gemini Full Moon says that it is time to celebrate your life. Celebrate your victories. Even the smallest of accomplishments are worth noting. “When you focus on what is working in your life. This creates a current of positive energy. You are a magnet for good things to flow to you…. “People will want to know your secret for success. In the midst of this chaotic world how are you Always Thriving? You can tell them that it is your attitude for gratitude. “Appreciation for life keeps you going. You have a passion for living. You value both the challenges and the adversities. You see them as your teachers. You see the present as perfect. “The stars are highly active in December. It is a game changing month. Uranus rules revolution. Pluto rules evolution. They are squaring in December….You have no control over what the planets are doing. Your power lies in how you use this energy. “On the positive side, you can use this powerful planetary position to change your life for the better. At the very least, they are stimulating your growth. “Real growth is painful at times. Change is the only constant. Growth is optional. “Those who are invested in their personal development are evolving. Squares are a call to action. They represent a turning point in your life. You are changing. Your life, work and relationships are changing. “Resistance is futile. Be a change agent. Don’t wait. Initiate. Take action now. Be brave. Take risks. Taking chances can bring you great rewards. “This second to the last Uranus Pluto square happens on December 15. The final square will be on March 17, 2015. The faster moving planets will keep this energy active through April of next year. “Pluto and Uranus are a roller coaster ride of change and transformation. You will have good days and challenging days. “You can expect the unexpected. Sometimes shocking surprises are jaw dropping. Relationships can blow up revealing long held tensions. “Uranus and Pluto bring sudden endings. They can serve up a fresh start that you may not want but sorely need. Stay flexible. Surrender resistance. Control is an illusion. “This huge amount of change can be exhausting. Take a moment and catch your breath. Celebrate what you have learned. Celebrate your growth. Celebrate how far you have come. “Pluto and Uranus are a force for good in your life. Be adaptable. Make friends with change. It is not the enemy. Change is your friend. Change sheds the old and gives birth to the new. “Major players on the A-team of change are once again called upon to hold space for major planetary alignment. You are participating in the most significant astrological event of these opening decades of the 21st century. “Recently, Uranus in Aries and Pluto in Capricorn have moved again into a 90º/square relationship for their sixth of seven exact squares spanning from June 2012 to March 2015 representing a rarified time frame of integrating a new level of spiritual, social, political, and personal expression. “Full Moon in Gemini maximizes the qualities of fire and air. It’s an enthusiastic time of increased activity and connection. “We feel the urge toward expansion, looking at a bigger picture and finding our place in the mythic story of life with Jupiter in Leo ruling the Sun in Sagittarius. 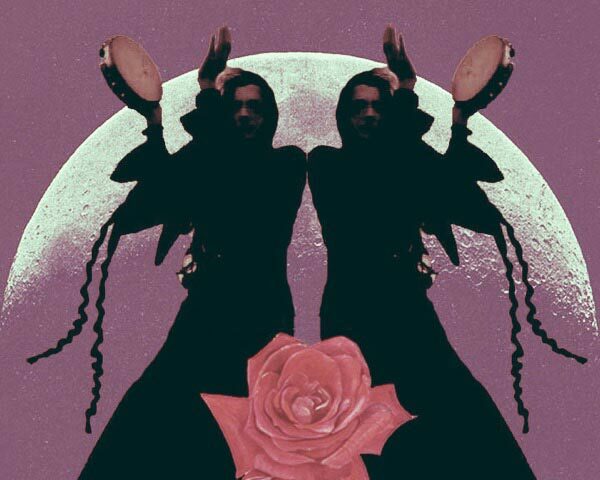 “When Gemini energy is at its fullest and the Moon peaks in this sign, our minds are titillated, and gathering information and making connections lights up all our circuit boards and that makes us feel alive! “We can’t overlook Chiron’s close square to the Sun/ Moon axis at Full Moon. Tension generated by Chiron in Pisces may make it feel urgent to speak out about our withholds, and Sagittarius/Gemini may not be as sensitive or available as necessary to receive a vulnerable communication. “Do your best to let your heart break open and speak your truth and make space to receive the truth of others as neutrally as possible. (Clearing the ‘air’ now before Solstice is good timing). “Chiron’s tight configuration to Full Moon asks you to hold your beloveds with compassion while releasing any notions of helping, fixing or healing another’s experience. “This inspired, distributive, heart-strengthening Full Moon will show us the light of a many sided view of ‘the power of our spiritual ancestry’ helping us get a sense of what’s to come, as well as seeing how we’ve trained to accept the expansion, opportunities, blessings, and protection that’s happening these next two weeks as we rock on down to the Solstice! “…This Lunation is more about opening the way to the future at the end of an old cycle than deepening past patterns. “Saturn continues to show the way to understand our magnetism, power, and what’s right or wrong structurally in areas of our lives impacted by that planet. “Because of Saturn’s importance as the leading planet in the Bucket pattern, keep finding ways to purify and feel a deep connection to the life that’s around you, and if you can be an agent of mercy, compassion, and/or forgiveness, by all means do the right thing. Saturn’s virtues will help you here. © Copyright 2014 ~ROBERT WILKINSON All Rights Reserved. *FULL MOON* Blessings to all! oohhh DID I know this time was coming, YOU betcha, Thankyou for your affirmations and overwhelming truth. Agreed I love this music! More?! Wow! Exciting is an understatement! gratitude ! thank you ! I really like your artwork! Ready for change, ready for growth, ready for TRANSCENDENCE! Am fully open to responsibility & accountability. YES!! STRAIGHT to telling you HOW MUCH I LOVE YOUR ART!!! I’m so glad I found your website. Thank you so much for sharing such detailed insight. I really needed this today. Why are you talking about a river? That was last moon in scorpio, this is a Sag 28 moon cycle, and a gemini full moon, which is a day before now, the Navy calcs are off now. I’m looking forward to theses blessing. Beautiful insight. Thank you for sharing the knowledge. Love you site and visit faithfully. I cannot WAIT to see what the energy of this full moon brings. Thank you so much! That’s some incredibly applicable advise for me and for others whom I’m co creating with during this time. Good stuff. Thank Ya’ll!!! What does it mean if I am a Gemini starting menstruation on the full moon today? Woods, so powerful! I’ve been holding on the the shore for a while, feeling the urge to purify and let go of many things from past – things I’ve collected and stored in my home. But I have a hard time letting them go, bough I know they are taking up space for all these changes I’m also feeling. I’m open to the new, but need to make space for it. This reading makes me see things more clear. Thanks! Love this! It really resonates with where I am at. Thank you and many blessings to you! I wonder whether this full moon had stronger influence on Gemini? Namaste, thank you for the copascetic nature in which I find myself. Always so right on and a light for the process that is unfolding… Thank you! What the hell are you talking about a Happy Full Moon in Gemini? Do you know anything about individualized astrology at all? You can’t make a blanket statement like that and expect it to cover everyone. I for one had a Mars retrograde in Gemini and this full moon has to be one of the most uncomfortable, rage filled full moon I’ve ever experienced. And all these wonderful people who will do anything for approval would never dare to nay say you, in case they get Namaste’d into oblivion. Or heaven forbid judged for feeling any human emotion other than sweetness in light. Stop being so irresponsible with your generalities and learn Astrology properly !!! Mystic Mamma, Are your collages Digital? They are so beautiful!